When students return from Spring Break on Monday, April 9, members of the senior class will be allowed to wear college shirts and sweatshirts with uniform bottoms until the end of the school year. Wearing college spirit wear is one of the senior privileges the administration granted to the Class of 2018. 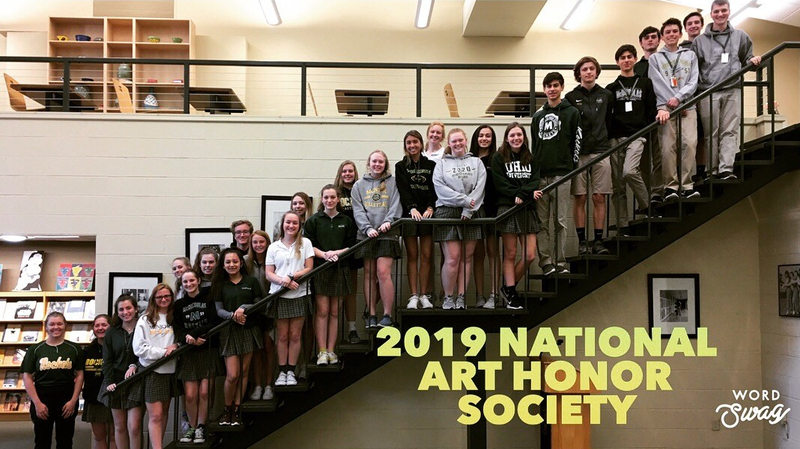 It has been a McNick tradition for many years, but, according to Director of Student Life Mike Orlando, the date this privilege begins has moved until after Spring Break instead of the start of the fourth quarter this year and last. Many seniors have expressed disappointment that they must wait until after Spring Break to ditch their McNick apparel. The announcement that seniors can begin wearing college spirit wear on April 9 sparked a chain of emails in which seniors used memes to express their frustration with the delayed privilege start date. While the memes were mostly lighthearted jokes about the situation, one central idea became clear: “Most of the class is upset about the fact that we are waiting [to wear] college shirts,” Senior Class President Natalie Martinez said. But why are the seniors upset about waiting to wear college shirts? Are they entitled to the privileges the administration grants each year? Can a three to four week difference in time really change their attitudes about their second home? Have they forgotten that the college shirts are only one among several privileges? There is no doubt the senior class has earned this privilege, but that does not mean they can take it for granted. This is a first world problem. While 17 and 18-year-old students in Cincinnati complain about the decision to withhold spirit wear privileges for a few weeks, Rohingya teens in Myanmar flee for their lives, teens in Syria take shelter from the violence of their civil war, and teens in Kenya question their safety and the future of their democracy. Much closer to home, teens at Purcell Marian High School mourn the loss of their classmate Greg Thompson. Instead of grumbling about college shirts, McNick seniors could be focusing on the positives. It is not even necessary to point out the facts that we are safer and healthier than teens in many countries. The blessings and other privileges we have at McNick alone are sufficient to keep us satisfied for the next few weeks as we await the ceremonial change of garments. “When I took over [2 years ago], I kind of relaxed the dress code with hoodies,” Orlando said. This year and last, students have been allowed to wear hoodies to school as normal uniform attire, whereas they were prohibited in years prior. Additionally, students are now permitted to wear uniform shorts at any time of the year instead of reverting to pants during the winter months. These dress code relaxations persist throughout the year and are available for all the students, so students do not have to wait until the fourth quarter of their senior year to enjoy them. “I know it’s a lot less strict than when I went to school and had to wear a shirt and tie every day,” Orlando said. Seniors enjoy other privileges throughout the year in addition to the all school dress code leniency and the end of the year college shirts. There is a seniors-only lunch line and the ability to spend lunch bells in the courtyard. At the very end of the year, seniors traditionally have an early dismissal day for a senior cookout. “We didn’t have a picnic or anything like that [when I was a senior],” Orlando said. Some teachers believe that delaying the start date for college spirit wear can help keep seniors focused on the present and on their roles as McNick students. “I think that waiting ‘til after Spring Break makes sense,” English teacher Anne Jones said. “It’s hard to remain focused on what’s happening here; it’s a time of transition. If [they] start wearing those college shirts too soon, it starts turning [their] focus to the future sooner.” Jones added that it is not a problem for seniors to be excited for the future, but it is important for them to be able to stay focused on the work they still have to finish in high school. Moore said that delaying the senior privileges will not help him focus any longer. “Senioritis is going to happen regardless. I think senior privileges actually decrease senioritis because we can get away with stuff that we couldn’t before,” Moore said. “I don’t think senior privileges affect senioritis; they just help to make our senior year better,” Martinez agreed. It is likely that senior privileges help keep seniors engaged in the school until they leave, and as Martinez said, “they are something fun to look forward to.” The Class of 2018 is not perfect, but we have made a positive mark on McNick. There is no debate that the seniors deserve their privileges. “There are a large number of seniors who work really hard and put a lot of time and energy into the school,” Jones said. The seniors have put in the effort and believe it is time that they receive the privileges they have been waiting for. However, if they cannot change the date their most anticipated privilege begins, it is important to remain grateful and appreciative of the school that has helped them grow over the last four years. Soon the seniors will be at college, wearing whatever they choose on a daily basis. So let’s enjoy our last few months with positive attitudes and grateful hearts. Leaving McNick for college is going to be exciting and nerve-racking, but let’s savor the days we have left. Students are justified in their complaints about having to wait to wear their college shirts. Many are proud and happy about where they will be going next year. The seniors are ready to transition to college. “Making that transition is an important thing, but making it well and doing it with class is important too,” Jones said. So let’s do this with class and show appreciation for what we have rather than gripe about what we lack. Seniors Jordan McCormick and Janie Ferris wear their uniforms during the first week of the fourth quarter because the senior privilege of wearing college spirit wear has not yet begun. Seniors will be permitted to wear college shirts and sweatshirts with uniform bottoms when students return from Spring Break on April 9.